Manufacturer: Bosch. Genuine used part removed with expert care and tested where possible. 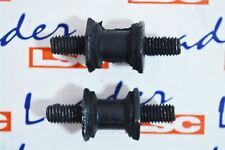 Part Number: 0470004003. Vauxhall Astra G Mk4 In-Tank Fuel Pump. Vauxhall - 9200109. Engine Sizes - 1400cc 1600cc 1800cc 2000cc 16v Petrol Engines. Product - In-Tank Electric Fuel Pump. Fuel Parts - FP2141. (Proof may be required). Astra H MK5 2004- Z22YH 2.2. Zafira B 2005- Z22YH 2.2. Vectra C 2002-2008 - Z22YH 2.2. Signum 2003- 2008 - Z22YH 2.2. Genuine Vauxhall Fuel Pump. Northern Ireland, Southern Ireland, Channel Islands, Isle of Man, Isle of White. Vauxhall Cavalier MK III 2.0i Turbo 4x4. Direct 2 Public. Compatability Chart is for the reference only. 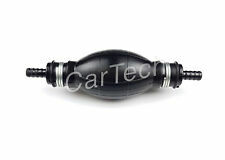 OEM Part Numbers : 90292723, 90020443, 815005, 815004. All the information we have regarding the fitting is stated above. VAUXHALL 10HP 12HP WYVERN. THIS FITS THE LATER TYPE OF WYVERN FUEL PUMP WITH VALVE CAGE ASSEMBLIES. 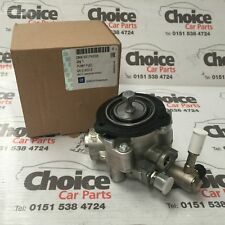 VAUXHALL CORSA C. This sale is for a fuel pressure regulator from a 2003 Vauxhall Corsa C 1.2,the pressure regulator is in used but good condition / working order. 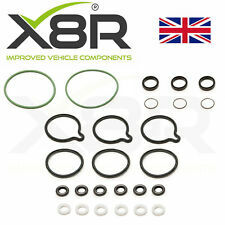 Suitable for the 1.0 and 1,2 Vauxhall Corsa C from 2000 to 2006, subject to matching part numbers and regulator type. 2007 VAUXHALL ASTRA 1.3 CDTI. GOOD CONDITION. 1 x 630cc Long Style EV1. VAUXHALL / OPEL / VW / AUDI / SAAB. Series: DEKA 4 ( DEKA IV ). In addition, these units are high-impedance. This allows you to use a larger injector than normally possible without hurting idle and low speed driveability. OEM #24447778. Vauxhall Astra G / GSI Turbo / Coupe Applications. NEW Fuel Pump Strainer. What are we known for?. It is your responsibility to make sure you are purchasing the correct item. Orders cannot be collected. VAUXHALL VIVA HC, FIRENZA, CHEVETTE, HA Van & CAVALIER Rwd - 1256 / 1300cc - models. VAUXHALL VIVA HC - 1256 / 1300cc 1974 to 1979. VAUXHALL FIRENZA 1300cc 1971 to 1973. VAUXHALL CHEVETTE 1300cc 1975 to 1984. Enough fuel for over 450hp-500hp. The 330 Fuel Pump is a high-output, in-tank, electric fuel pump that fits most popular EFI applications. - Suitable for Pump Fuel; Race Fuel; Ethanol E85 . Due to the dielectric properties of Alcohol fuel like E85, fuel pump service life will be reduced and filter. VAUXHALL VIVA 1.3 PETROL 1971 - 1975. Make & Model: VAUXHALL VIVA. Fuel Type: PETROL. DRIVE:REAR WD. 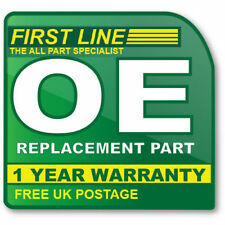 CHECK YOUR PART NUMBER AGAINST OURS TO ENSURE THAT THIS IS THE CORRECT ONE FOR YOUR VEHICLE. Date Manuf: 04/1972. Astra 1 & 2. Cavalier 2 & 3. We are a family run motor factors in Midlothian, Scotland. We are always happy to help and give advice. We buy direct from Quinton Hazell, Firstline, Gates and Borg and Beck making us Midlothian's only authorised dealer of Quinton Hazell parts. VAUXHALL MOVANO VIVARO. RENAULT MASTER TRAFIC. 2.5 dci diesel. 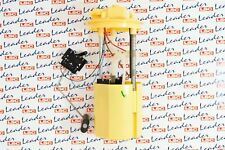 In Tank Fuel Pump - 1.6 Petrol - Engine Code Z16SE - Bosch Make - Part Numbers GM 9157692 - Bosch 0 580 313 060 - In good working order - Compatibility is a guide only. This part was removed from a Right Hand Drive Vehicle. 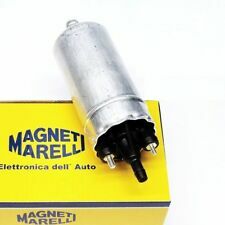 (RENAULT, FORD, CITROEN, VAUXHALL, FREELANDER ,BMW ,VOLVO, VW, AUDI ,SEAT). Vauxhall Frontera 2.5TD (Model / Chassis Code 4JA1 - SED5K) 1996-1998. Opel Zafira. Opel Tigra. Opel Vectra. Opel Astra. ASTRA F (56_, 57_). ZAFIRA (F75_). TIGRA (95_). ASTRA F CLASSIC Hatchback. 1057CC 1159CC 1256CC. VAUXHALL VIVA. FUEL PUMP REPAIR KIT. PART NUMBER: 13171810 -. GENUINE VAUXHALL PART. FUEL PUMP SEALING COVER CAP SEAL -. Why Buy From Us?. Opel Manta B 1.8 1982-88. Astra 1.3 (13, 13S, 13SB)(engine no. 348041 on) 1982-84. Astra 1.6 (16SH)(up to engine no. 14397530) 1980-86. Astra Van 1.6 1982-90. BMW X5 E53 3.0 D. Direct 2 Public. 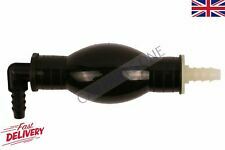 OEM Part Numbers All the information we have regarding the fitting is stated above. Compatability Chart is for the reference only. All part numbers are for reference purposes only. 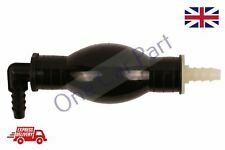 VAUXHALL PART NUMBER: 93187095, 13184922, IDENT DF. VAUXHALL ZAFIRA B (2005 - 2014). NEW GENUINE VAUXHALL PART. INTERNAL FUEL PUMP ASSY. PART NUMBER: 13171811 -. GENUINE VAUXHALL PART. FUEL PUMP SEALING COVER CAP -. Why Buy From Us?.